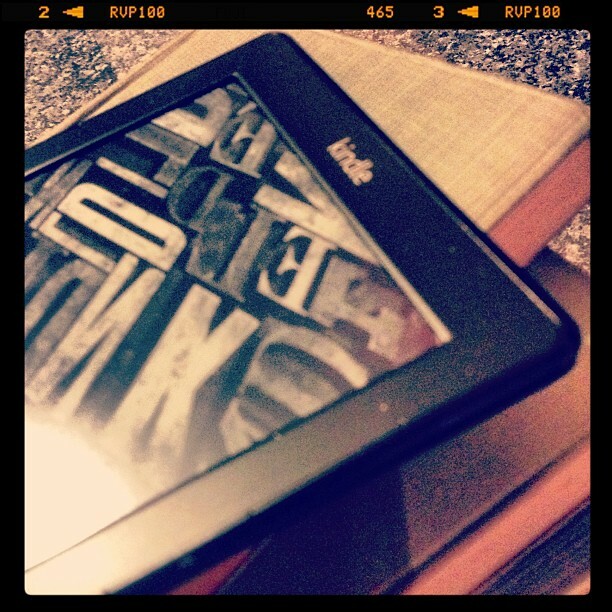 I have now been the proud owner of a brand new Kindle for a week now. I bought it for travelling. One of the few times I get the chance to read is when I am away on holiday. I am not a fast reader but carrying even a small pile of books is a bit of a pain when I am away from home. Later this year we are going on a two week cruise (more of that nearer the time!) so thought that now would be a good time to make this purchase. I am far more impressed with this little package than I thought I was going to be. For £59 I can now read a very wide selection of books even in bright daylight (again, another reason for its purchase). One of the advantages of being a fan of P. G. Wodehouse is that most of his books are available as free downloads! Reading books when I am away on holiday is one thing. Even reading late at night as I drop off to sleep is fine. Why is it, then, that I feel guilty when I lift a book on a Saturday afternoon? What sort of twisted work ethic means that I feel that I should be doing something far more productive on a day off work? There is a long “to do” list needing done. I could be outside tidying the garden. The cars need washed. All these are things that make me feel that I should not be sitting down doing nothing. Why does reading a book feel like “doing nothing”? Is physical activity more important or more valuable than intellectual activity? For now, the tasks can wait for a wee while. We are going out this evening and I have been busy since early morning. I am going to read for an hour. Perhaps I might not feel too guilty for too long. I have to try out my new toy after all. This entry was posted in Professional and tagged books, ebooks, guilt, Kindle, literature, reading on 16 February, 2013 by Gordon McKinlay.